Many times, we do not realize just how much impact our parents had on us until we reach an age that allows us to look back and reflect. Unintentionally, the first 4 stories of this entrepreneurship series all relate to the impact that one generation of entrepreneurs had on the proceeding generation of entrepreneurs, their children. After speaking with the mother-daughter duo at K-Lo Bazar, Esther Santiago of Esther's Beauty Salon and her son, Luis Santiago of Eclipse Window Tinting, we spoke with Mirian Ortiz, owner of Sergio's Cafe, a small restaurant named after her father. All four businesses listed above have one wonderful thing in common, a parent's entrepreneurial influence on their children, which molded the children into entrepreneurs. "Sergio's Cafe is a small and humble location but we do everything with love, care, and passion, we truly care about the satisfaction of our clients"
One of the very first things Mirian told us is that the mission at Sergio's Cafe is to make people happy through the food. This mission of making people happy through food has been engraved in Mirian's memory ever since she can remember. 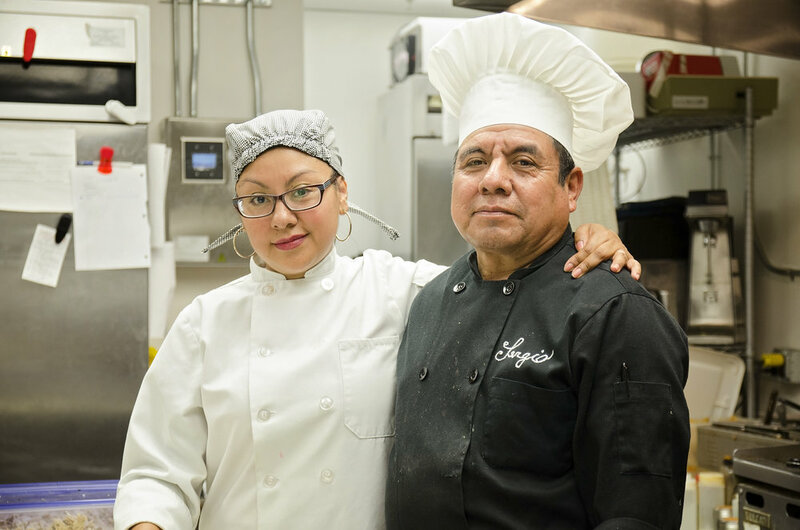 As Mirian told us, her father, Sergio Ortiz Sr., has been cooking since his teenage years. "My father inspired me to pursue the career I am in today. Seeing him love what he did and work so hard at it motivated me to want to do the same"
Following the footsteps of her father, growing up, Mirian learned how to cook little by little and would partake in extracurricular activities outside of school what would help her get better at the craft of culinary arts. 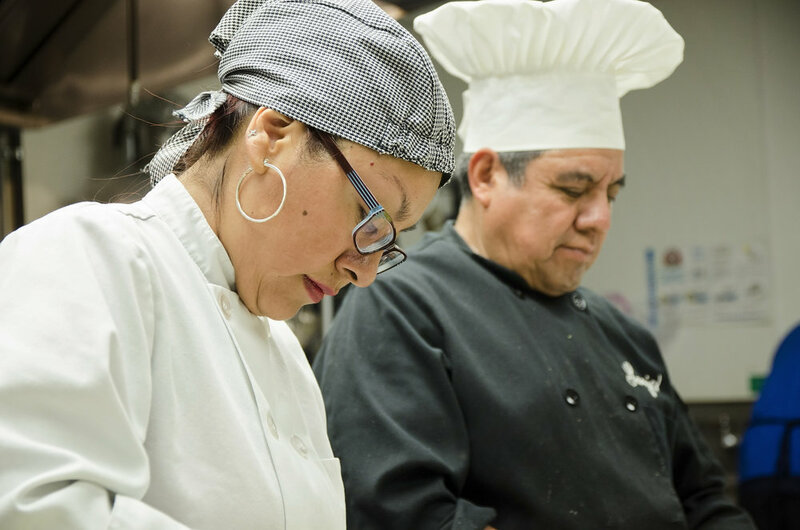 Following her primary and secondary education, Mirian went on to complete an Associate's Degree in Hospitality Administration from Ivy Tech, which further fueled the dream of one day owning her own restaurant. Beyond fulfilling a lifetime dream of wanting to own a restaurant, Mirian shared with us that Sergio's Cafe also allows her to fulfill her mission of connecting cultures. "I love when someone from a different culture comes to Sergio's Cafe, tries something they've never had before and falls in love with it. Being able to connect cultures through food is another reason why I love what I do so much"
Natively from Puebla, Mexico, Mirian remembers her childhood as a very traditional one except for the fact that her cousins and siblings would consider her to be "bossy" due to her natural leadership instincts. Before Sergio's Cafe, Mirian and her husband operated another business which specialized in decoration for special events. Mirian shared that the biggest lesson she has learned throughout her entrepreneurial career is that nothing can be accomplished without a team. "That is why I cherish my team members so much", Mirian said. "I want for us to be able to grow together, to learn together, and most importantly to be able to help one another". Her drive to be the best leader she can be derives from being a mother. Mirian shared with us that her biggest source of inspiration these days comes from her three children. "My children look up to me, they see me as their role model and thus, I work hard to be the best I can be"
Some say that being a business owner is quite similar to being a parent and Mirian agrees. You have many eyes on you, many people looking up to you for guidance and advice, and this is the type of environment that Mirian thrives in. Throughout the interview, Mirian shared with us that there are certain people who have molded her to become who she is today, people for whom she's so grateful for. "From my mother I've learned that one must always get back up no matter how hard we've been knocked down. From my father I've learned to respect hard work is it a key ingredient to success. From my husband I've learned to develop my character day by day and from my daughter, I've learned to always strive to be the best version of myself"
As a business owner, one must be willing to make many sacrifices. As Mirian told us, we must be willing to miss birthdays, weekends, holidays, but ultimately knowing that it will all be worth it. When we see established entrepreneurs, we may wonder, "How did they do it"? When we asked Mirian this question, she expressed there are 3 characteristics she believes are key to success for not just entrepreneurs but anyone who wants to be successful: patience, perseverance, and optimism. When also asked about her definition of success, Mirian told us that as long as she feels internally happy and she sees her family happy, she feels successful. This was yet another common thing among all business owners we interviewed when asked about success, not a single one mentioned money as a key factor to success. The name Sergio's Cafe serves a daily source of inspiration for Mirian when she comes into work. "My father is one of my biggest sources of inspiration. He is the reason why I fell in love with this craft to begin with and thus it was only just that this establishment carried his name"
Mirian told us that day by day, she goes to work optimistic and energized, thinking "how can we do better, what can we improve"? Mirian ended the interview with a quote that we all know but many times don't take the time to appreciate. We feel very fortunate to be able to listen to so many wonderful stories from business owners in our community. We hope that in some shape or form, these stories serve as sources of inspiration. We are excited to continue to share stories with our readers and continue to showcase all the talent that is right here in our own community.